I'm posting some pics of this hunting breastplate that kept me busy in these 2 latest weeks, once in a while of the piece while in use. 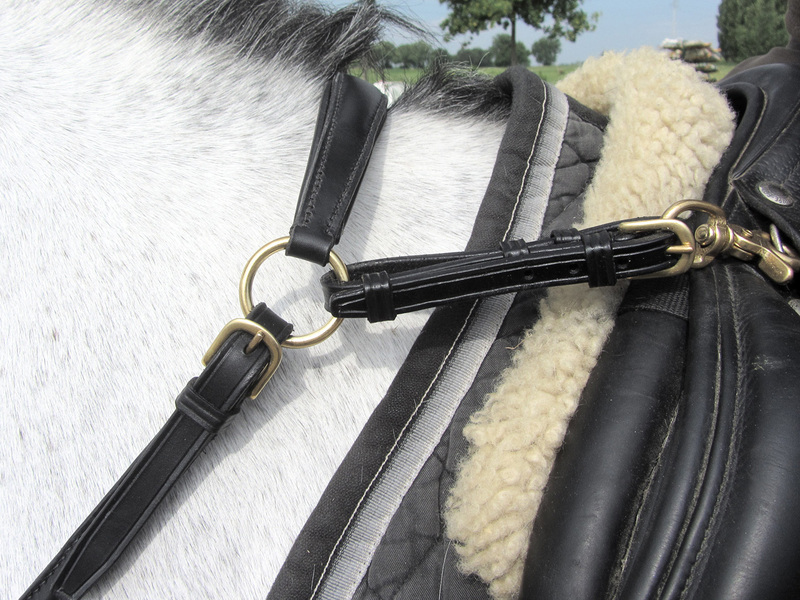 Black leather, solid brass hardware with scissor-type snaps, full size. 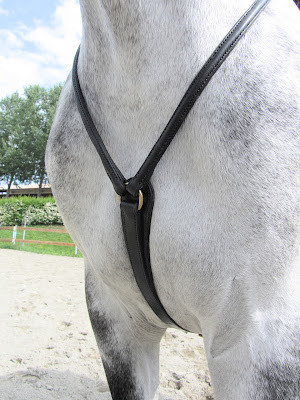 The Y branches are round-raised (a total of 1.20 m of raised work, nearly 2.50 m of handmade stitching...), both ring saver on the breast and bridge on the withers are padded. Bridge is raised too, to match with branches. 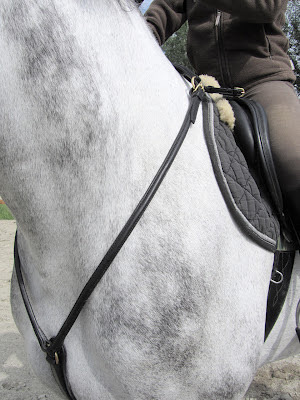 It comes complete with detachable martingale, made out from a single leather strip. Sooner or later I'll ask it back from the owner, so I can take a few pics of it. Che lavorata...tutto quel bombato...!! Bellisimo e di incredibile eleganza! !